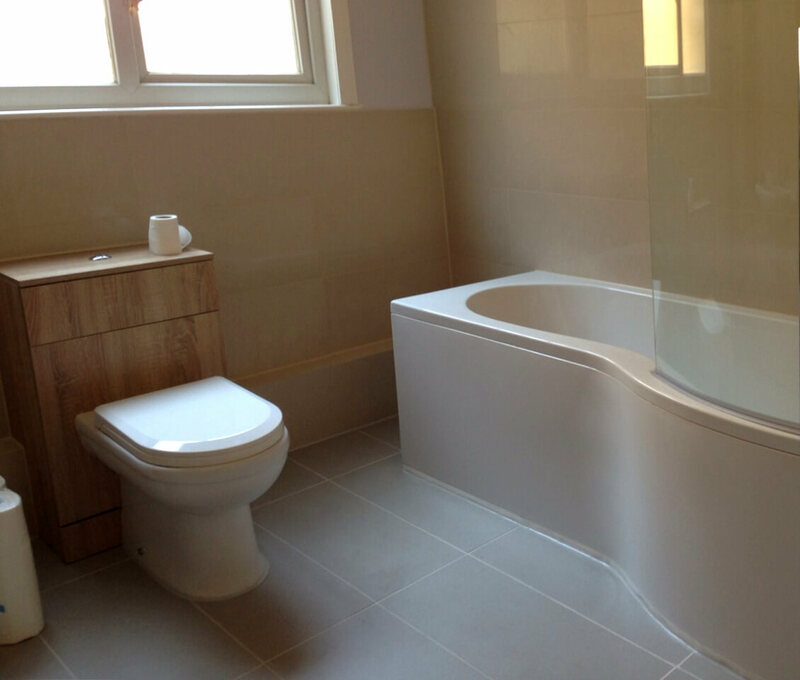 The bathroom fitters can work and use materials within a certain budget. Flexible work schedule that includes weekends and bank holidays. Specialists who are experienced and fully insured. Service suitable for bathrooms, shower rooms, toilets, and en-suite bathrooms. area coverage (every local postcode area). 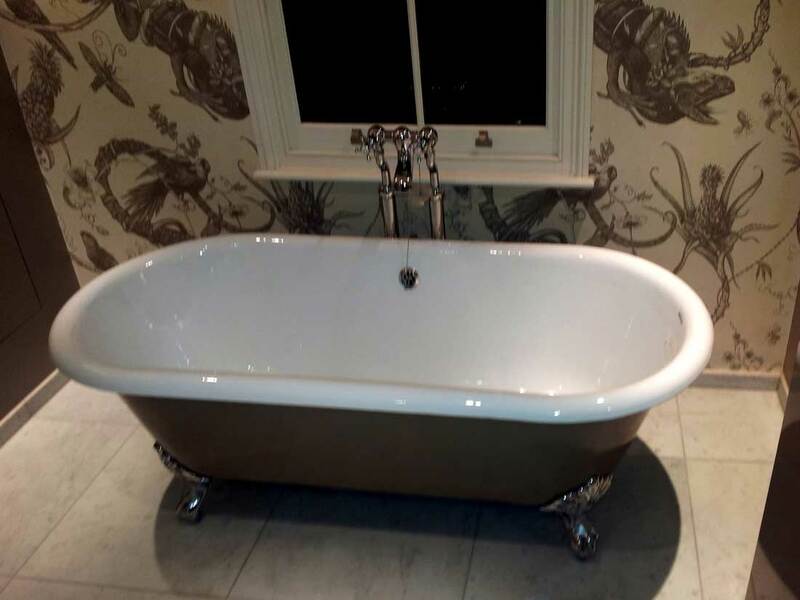 What Our Bathroom Refurbishment Service Features? Minor or comprehensive repairs of floors, sub-floors, and walls. Changing old wall and floor boards with new. Painting and decorating the entire bathroom or just some areas. Replacing the old floor and wall tiles with new ones. Installation of new bathroom furniture and accessories. A lot of the work by the bathroom fitters will result in detached bathroom furniture, fittings, and accessories. Make sure to tell the professionals if you'd like to keep any of those. Installation of bathroom accessories and furniture. Placing lights, spotlights, and extractor fans. Fitting of basins, toilets, bathtubs, mirrors, etc. Installation of showers and shower trays. If you have any specific requests, then make sure to tell us. After all, we want to make sure that this service will leave you utterly satisfied. Speaking of which, here are some reviews from previous clients who were pleased with their bathroom improvement. , the bathroom fitters have access to a wide array of tools and equipment, and you can be sure that they know how to use it all properly. Keep in mind that we are able to provide you with all materials, furniture and accessories. And since we're partners with a widely popular UK home improvement retailer, it all comes at special bargain rates that sometimes even amount to a 20% discount! However, you can of course supply the bathroom furniture and accessories by yourself. Call Us Now! Book Your Bathroom Fitting Bedfont TW14 Service! What makes our bathroom fitting services really great is that many clients can take advantage of them. For instance, homeowners who would wish to renovate their bathroom can always use our services. However, this applies for landlords and property buyers and sellers as well. Also, the bathroom fitting experts of Bedfont are comfortable working in commercial environments as well. This means that public venues like bars, pubs, and restaurants can also benefit from our services. You can contact us at any time – just call 020 3746 5384 and talk to our helpful customer care staff for additional info. Also, don't forget you can make a booking online either by filling in our simple contact form with your request, or by beginning a live chat with a customer care representatives.